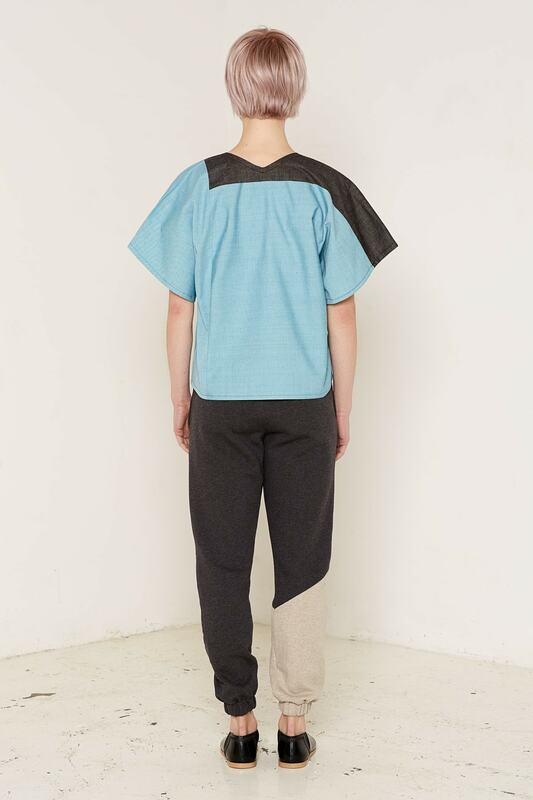 The bold lines and exaggerated flared sleeves of the Mars top give it an interesting, modern shape, complemented by the contrasting colours of the hand-stitched cotton. The round neck and light drape of the fabrics finish the top with a touch of elegance. 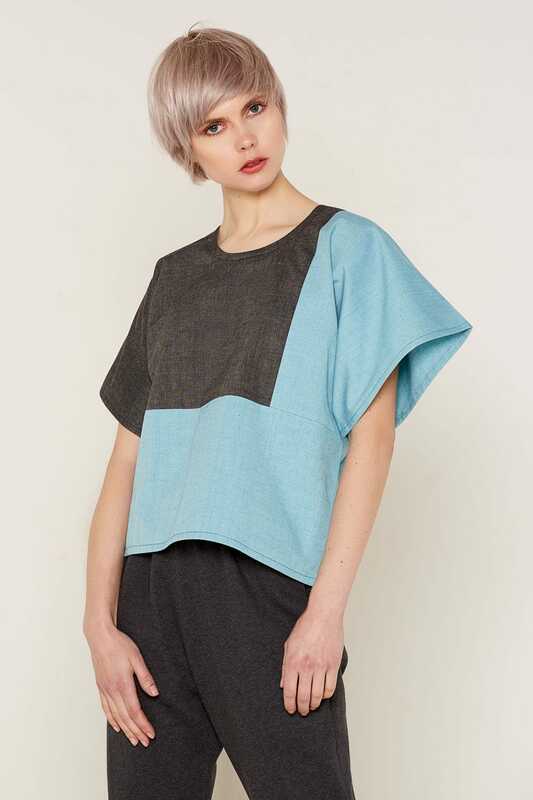 The top is available in one size and in two different colour choices: a beautiful, rich aqua and grey, or a grey and beige that is perfect for pairing with other neutral tones. 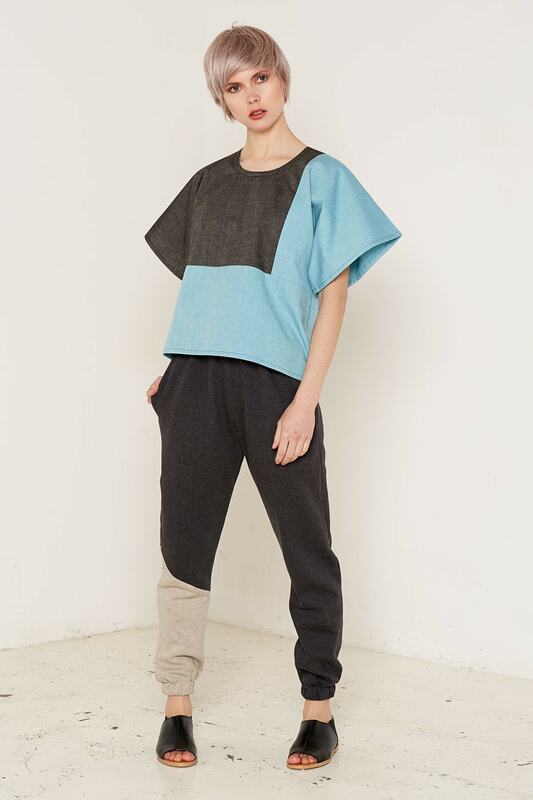 This garment is made using certified organic cotton sourced from fair trade suppliers, making it a fantastic example of sustainable style.